A handcrafted broom, painstakingly stitched and woven together from stiff strands of grass, seems to be the polar opposite of a sophisticated, 3D-printed soft robot. But Buse Aktas sees a number of similarities between the age-old tool and ultra-modern device. And she would know; Aktas, a mechanical engineering Ph.D. candidate at the Harvard John A. Paulson School of Engineering and Applied Sciences, spent several years as a broom maker’s apprentice in her native Turkey before beginning soft robotics research in the lab of Rob Howe, Abbot and James Lawrence Professor of Engineering. Aktas didn’t intend to become a broom maker, or an engineer, when she was growing up in Edirne, a city near Turkey’s western border. A naturally curious and artistic child, she enjoyed drawing and making sculptures from found materials. While she found it difficult to leave Turkey, Aktas enrolled at Princeton University and majored in mechanical engineering. She pursued a minor in visual arts, but became so disillusioned while studying engineering theory that she planned on being a full-time artist. At Princeton, Aktas got her first taste of research in a microfluidics lab, but chose a more “people-oriented” project for her thesis. She developed a device to help individuals with physical and mental disabilities build objects on an assembly line at an Easter Seals workshop. She also drew on her sculpture background by hosting hands-on art workshops aimed at redesigning the workplace to give employees more agency and ownership within their work experience. She enjoyed seeing how her artistic skills could make an impact, and returned to Turkey with plans to be an Istanbul-based sculptor. Through an undergraduate arts fellowship, she had the opportunity to complete mini-apprenticeships with a Turkish saddle maker, blacksmith, and broom maker. Now back in Turkey, she launched an artistic collaboration with the broom maker while completing a master’s degree in design and cultural heritage at Istanbul’s Kadir Has University. For the next two years, Aktas worked closely with the master broom maker, absorbing each detail of the craft and then creating an exhibition of 40 sculptures that used only broom making materials and techniques. Working 12 hours a day in a broom maker’s studio, with blistered hands and tired eyes, taught Aktas much more than stretching and weaving techniques. 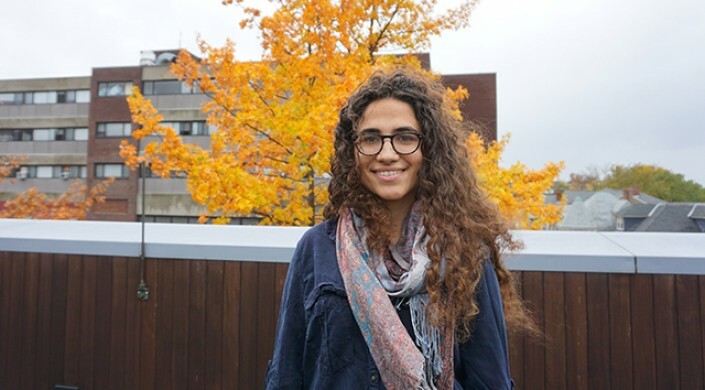 Aktas’ passion for knowledge inspired her to pursue a Ph.D. She chose Howe’s lab so she could keep working with her hands while pursuing a wide array of projects. In the lab, she is utilizing jamming techniques to develop soft robotic structures that vary in stiffness. Jamming enables a researcher to change the mechanical properties of a material drastically by squeezing it tightly. Aktas and her colleagues are modeling how jamming structures could be used to bridge the gap between soft and rigid robots. Her work has applications in everything from medical devices, such as wrist braces that help rehab patients, to manipulators that can grasp items in a warehouse. “The biggest challenge comes from the innumerable facets involved in jamming. If I’m not careful, I can get lost in my own work and forget that there is this whole world of robotics applications we are trying to reach,” she said. She especially enjoys how well the field lends itself to outreach. Jamming is an ideal method to teach children mechanics because they can see and touch devices that clearly exhibit theoretical principles, like friction. In addition to mentoring robotics teams and LEGO leagues, Aktas has overseen design challenges for high school students and offered STEM workshops at science fairs. She plans to make the development and scientific study of STEM workshops, and their outcomes, an integral part of her dissertation. Even as she dives deeper into robotics, Aktas still considers herself as much an artist as an engineer. She thinks of research as a sort of performance art, and constantly explores new ways to share her work. For instance, her lab presentations incorporate storytelling, theatre, and music. Aktas hopes to continue working at the intersection of art and science after completing her Ph.D. She intends to become an engineering professor, and wants to bring engineering and art students into her lab to work on projects together. Her passion for knowledge, and passing that knowledge on to students, all goes back to the countless hours she spent in that broom maker’s dusty workshop.